"Four Stars ... stunning ... a heartfelt love letter to his former hometown ... a live document of a great singer-songwriter in his element ..."
"If you love Ryan Adams at all, this is a wonderful release ... I cannot recommend this enough and I sincerely hope that Mr. Adams brings his guitar and plays a show close to my neck of the woods … because I’m going. Definitely." 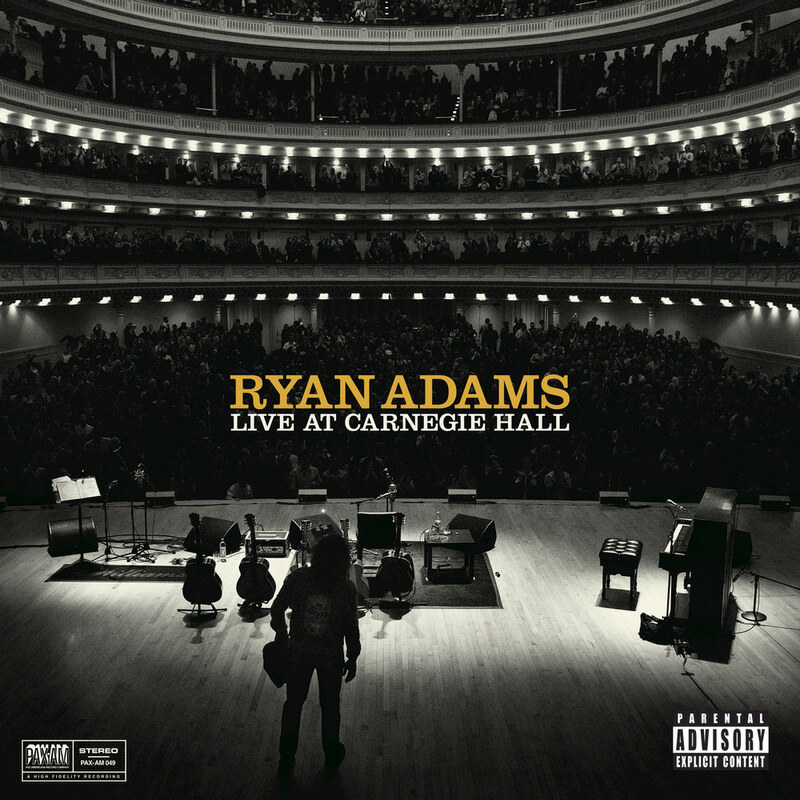 Live At Carnegie Hall was recorded over two nights at Carnegie Hall in November 2014 and includes all 42 songs Ryan Adams played during the two solo acoustic shows, including two previously unreleased songs. Throughout this double album, Adams performs rarities and solo versions interspersed with revealing and humourous stage banter with the audience.